The measures approved in Brussels include an immediate ban on the signing of new supply contracts for Iranian crude oil and petroleum products, while existing contracts would be phased out by July 1. British Foreign Secretary William Hague called the measures part of "an unprecedented set of sanctions." The EU currently buys around one-fifth of Iran's oil exports -- Iran's most valuable asset. EU foreign policy chief Catherine Ashton has said sanctions were designed to persuade Iran to return to talks on its nuclear program that Western powers fear is aimed at producing atomic weapons. "We will be discussing and finalizing additional sanctions [on Iran], particularly focused on the central bank and on oil exports," Ashton said. "But I do want to, again, reiterate that this is part of trying to get a twin-track approach. The pressure of sanctions in designed to try and make sure that Iran takes seriously our request to come to the table and meet." Ashton said world powers had yet to receive a reply from Tehran to an offer in October to hold new talks. German Foreign Minister Guido Westerwelle said it was critical that action again Iran be taken, saying it was not a question of security in the region alone, but "a question of security in the world." Iran says its nuclear program is exclusively for peaceful purposes, but Western powers and many international officials fear it is aimed at producing atomic weapons. 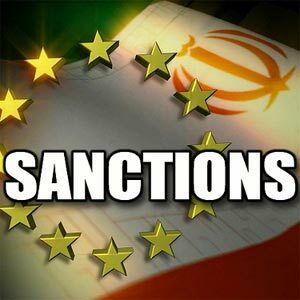 Four rounds of UN sanctions have targeted Iran's nuclear activities, and the UN's International Atomic Energy Agency (IAEA) recently accused Tehran of work "specific to nuclear weapons." The EU and the United States are working to persuade countries in Asia to reduce their oil purchases from Iran as well. 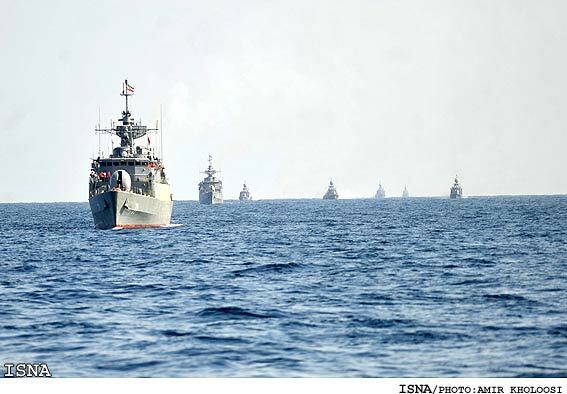 Iran has threatened to retaliate over new sanctions by blocking the Strait of Hormuz in the Persian Gulf, through which some 20 percent of the world's oil exports pass. The United States has vowed to keep the trade route open. The United States says one of its aircraft carriers as well as a British and a French warship have recently sailed through the Strait of Hormuz and into the Gulf without incident. A spokeswoman for the U.S. Fifth Fleet said the "USS Abraham Lincoln" had completed what she called a "regular and routine" passage through the strait. EU foreign ministers also planned at the January 23 meeting to widen sanctions against Alyaksandr Lukashenka's regime in Belarus. The bloc has so far frozen personal assets and imposed visa bans on more than 200 individuals linked to the regime after the violent crackdown on demonstrators that ensued after the flawed presidential election in 2010.